Written by Bro. S. BRENT MORRIS 33° G.C. Every Grand Lodge takes pride in the accomplishments of its famous members: The names of brothers Rudyard Kipling, Wolfgang A. Mozart, Johann W. von Goethe, Simón Bolívar, Henry Ford, and George Washington are just a few that immediately come to mind. American freemasons, however, take particular pride in some of their early members, like Washington, because of their dedication to the spirit of freedom. 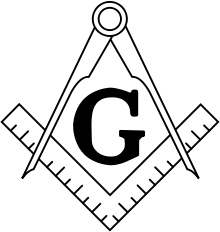 It is an infectious spirit that has infused all of the craft and has spread around the world, making freemasonry feared by tyrants, dictators, and those who would deny people their basic rights. America was colonized by men of widely different backgrounds and motives. Generally speaking the northern colonies were founded by those in search of religious freedom, while the southern colonies attracted entrepreneurs seeking their fortunes in agriculture. There were few institutions that transcended colonial borders, and freemasonry was one of those. In 1776 the American colonies declared their independence from England. Many—but certainly not all—of the prominent revolutionary leaders were freemasons, and their lodge memberships provided a useful point of commonality. 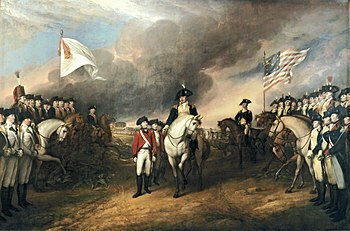 Any list of prominent American revolutionaries must begin with George Washington, “The Father of His Country.” He served as Commander-in-Chief of the Continental Army for eight years, ultimately defeating the English, and was elected the first President of the United States of America, the first modern democracy in the world. He declined becoming king of the new nation, and by the example of his personal conduct, political restraint, and modest ambitions he established the principles of a civilian controlled military and of a peaceful transfer of political power. His integrity set the standards for future American presidents and the leaders of all democracies. 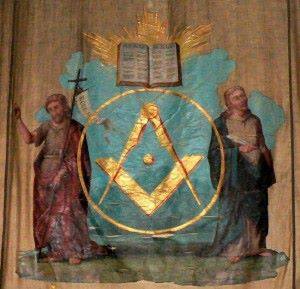 Washington became a Master Mason in 1753 in Fredericksburg, Virginia. The Grand Lodge of Pennsylvania nominated him as “Grand Master General for the Thirteen United American States,” which he declined. He did serve as the Charter Master of Alexandria Lodge No. 39, Alexandria, Virginia, 1788 and was reelected in 1789. There is no record of Washington presiding as Master. The high point of his Masonic career came on September 18, 1793, when he laid the cornerstone of the U.S. Capitol with full masonic ceremonies.